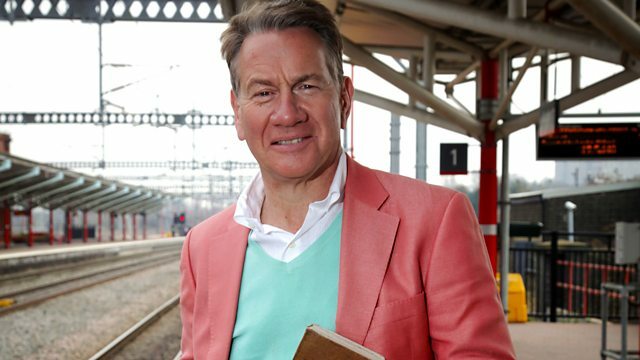 Armed with his Bradshaw’s guide, Michael Portillo visits Birmingham, then travels on to Cradley Heath and Landywood, before reaching the Potteries at Stoke-on-Trent. Armed with his Bradshaw’s guide, Michael Portillo reaches Birmingham and discovers how a radical reformer would make his mark on the city of a thousand trades. At Highbury Hall, he finds Joseph Chamberlain’s splendid mansion home and hears how he established a political dynasty including a prime minister and a foreign secretary. Next stop is Cradley Heath, at the time of his Bradshaw’s one of five chain-making towns in the West Midlands. Michael learns how 90 per cent of the chain workshops in England and Wales were located here and that female workers earned a pittance to produce goods in their homes. He discovers how discontent came to a head in 1910 and a Scottish woman led workers to strike for the first time. A book on Railway Law for the Man in the Train is required reading for Michael as he travels to Landywood, where he engages in some detective work on behalf of its author, one George Edalji. Michael follows an investigation carried out by Arthur Conan Doyle in the early 1900s into a miscarriage of justice. At the centre of Britain’s ceramic industry in Stoke-on-Trent, Michael visits Wedgwood, established by the Queen’s Potter Josiah Wedgwood in 1759 and visited in 1913 by King George V and Queen Mary. He hears how the royal couple used their visit to forge links with working people and thereby strengthened the monarchy. Touring the factory, Michael admires the exquisite decoration of the ceramic painters and tries his hand at clay spinning.